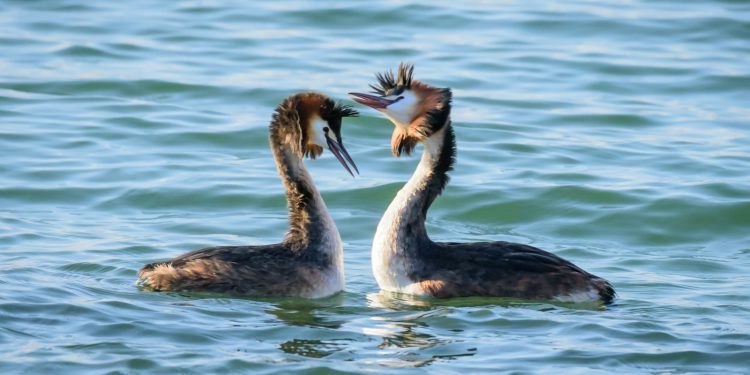 Many people sitting on the shores of Lago Trasimeno will have experienced the thrill of seeing the blue flash of a kingfisher passing, or maybe watched the “love dance” of crested grebes or swans on the water. If, like me, you would like to get a little closer and maybe take some photographs of these natural wonders, there are some hidden gems of places to go to in Tuscany and Umbria. Italy is a migratory route between Northern Europe and Africa, the Italian lakes are important over-wintering sites for several species of birds and there are of course also the native species. 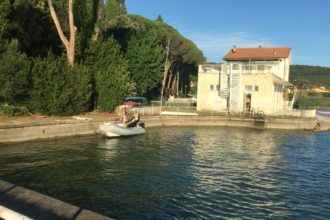 For those of us living around Lago Trasimeno the most obvious starting place and one of the most accessible reserves is Oasi La Valle near the village of San Savino (gps 43.106088, 12.188327). Sadly, the boardwalk out onto the lake is now closed due to disrepair. Nevertheless, there are a few excellent hides and now the water level in the lake has been restored after several years of drought, there are some great photo opportunities. Last year there was great excitement when 7 juvenile flamingos over-wintered for a period on the lake spending much time around La Valle. There is an active bird ringing station at La Valle, conducting important scientific work to help understand the range and passage of birds. A little further afield is my favourite reserve at Oasi WWF Lago di Alviano (gps 42.621162, 12.252593) about 25Km south of Orvieto. Here the reserve encompasses the complete lake, there are 7 well-appointed hides and all walkways are screened from the lake so as not to disturb the birds. 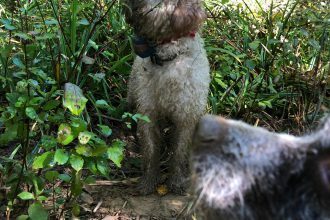 In this reserve I’ve been lucky enough to get close and personal with kingfishers, and some more rare species such as squacco herons, black-crowned night herons and spotted crakes to name a few. There are also 2 woodland hides, where you might be lucky enough to see a greater spotted woodpecker or other woodland species. Open the public on Sundays from 10:00, or by appointment during the week. A somewhat more unusual and smaller nature reserve, but very productive none-the-less is at Parco della Piana in Sesto Fiorentino near Florence (gps 43.823554, 11.174307). This reserve is under threat due to the potential expansion of Firenze airport, despite this some of the hides are new, well-constructed and very well appointed. The arrival of a large flock of flamingos generated much excitement during last winter. Open on Sundays from 10:00. There is a thriving community of (mostly) Italian bird photographers taking and sharing photographs from these and other nature reserves available in our region. I’ve made many friends amongst them and found everyone most helpful and encouraging. I will keep visiting in the hope of getting that elusive magazine cover shot!